The field had been shut down for a week and a half while these new facilities were tied in. When it resumed, daily production was up from about 100 000 barrels to 138 000. 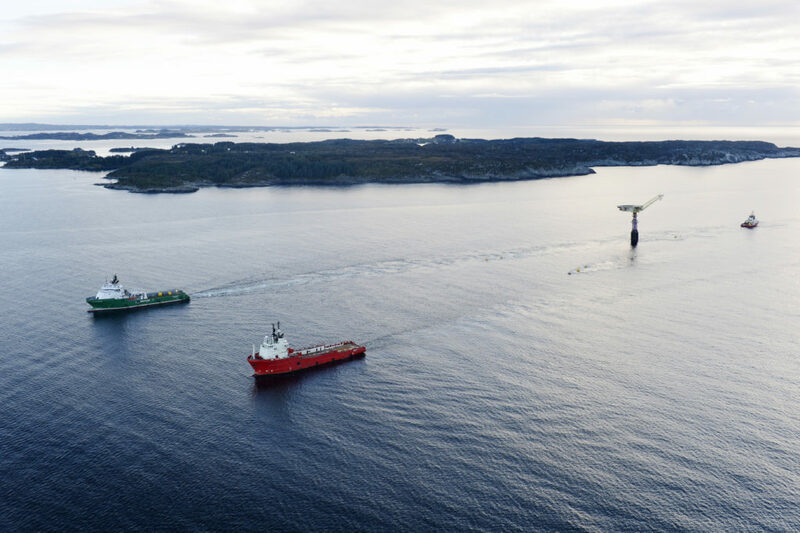 This was in line with a decision by the Storting (parliament) on 12 June, which set a new output ceiling for Draugen of 143 000 barrels per day on average. 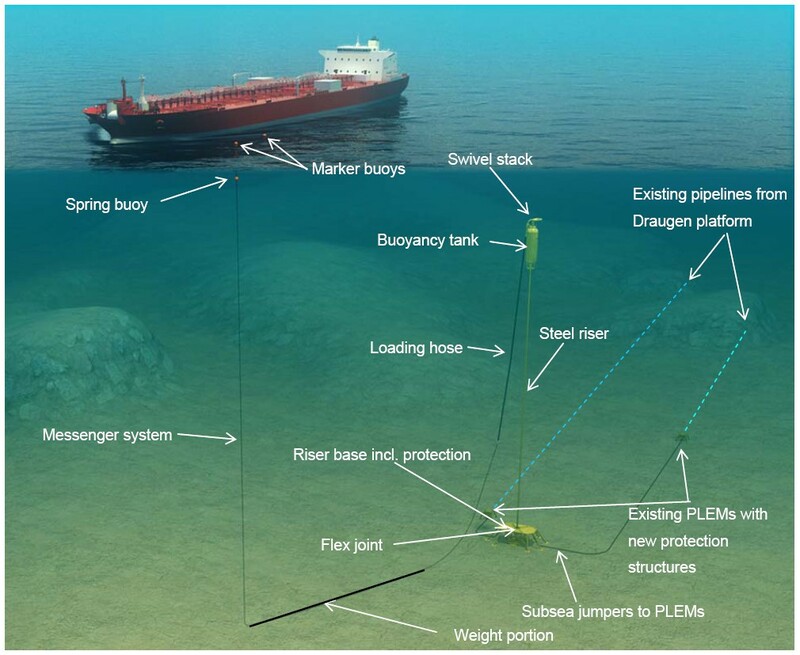 [REMOVE]Fotnote: Recommendation from the standing committee on energy and the environment on development and operation of the Njord discovery, determination of the state share in the Draugen and Brage fields and briefing on Norsok work. https://www.stortinget.no/no/Saker-og-publikasjoner/publikasjoner/Innstillinger/Stortinget/1994-1995/inns-199495-197/. It was naturally good news for operator Shell, but with a bitter aftertaste – even with such a sharp increase, the company could not expect more money in the bank. That was because Jens Stoltenberg, petroleum and energy minister in the Labour government, aimed to exercise the sliding scale provision on increasing state participation. 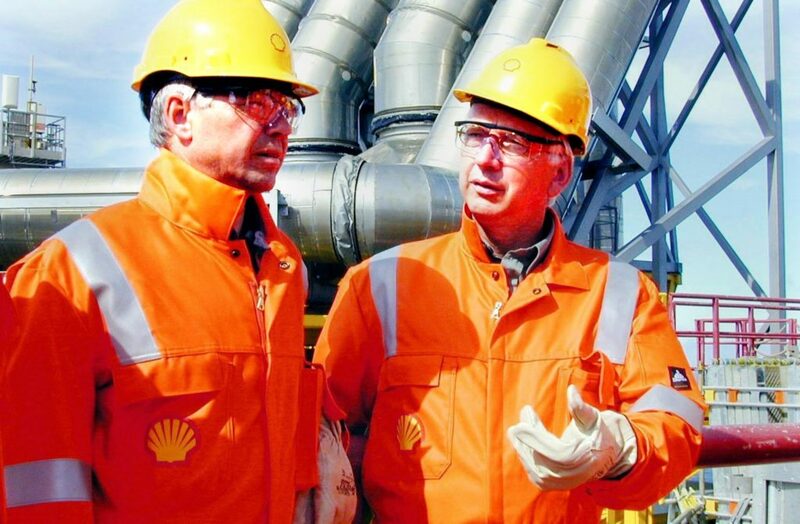 Put simply, Shell’s share of 100 000 barrels of oil per day was about 21 000 barrels. Once output passed that level, however, the government could boost the state’s holding in the licence. 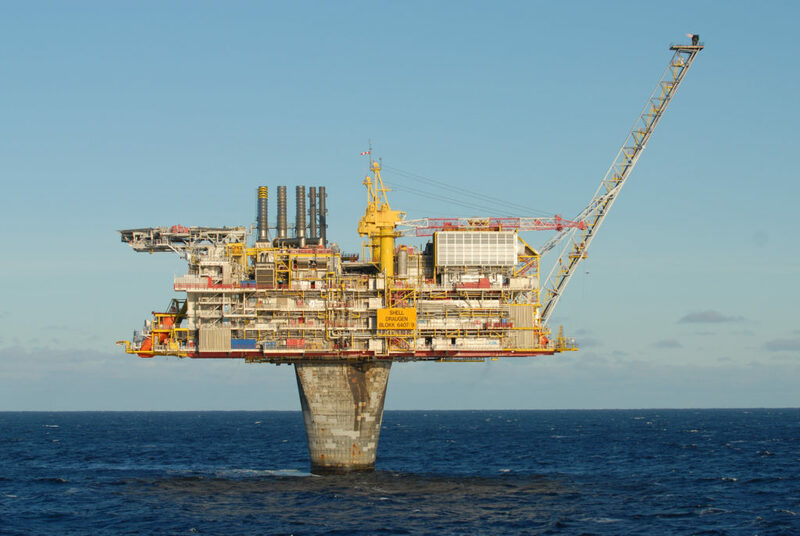 This was done by taking over shares from licensees Norske Shell, Statoil and BP in June 1995 – which meant the operator still received only 21 000 barrels per day. The government basically had the right to an additional 10 per cent share of the licence, but the principle of the sliding scale had become very controversial in the early 1990s. [REMOVE]Fotnote: Norsk Oljerevy Nr. 8, 1992, «Sannsynlig at glideskala faller, men: Ny type statsdeltagelse viktigste prinsipp-reform». After negotiations with the oil companies, who maintained that full exercise of the scale would make a production rise unprofitable, the proportion taken over was cut to eight per cent. Shell’s holding thereby fell from 21 to 16.2 per cent, while BP lost 3.2 per cent and kept 10.8 per cent. 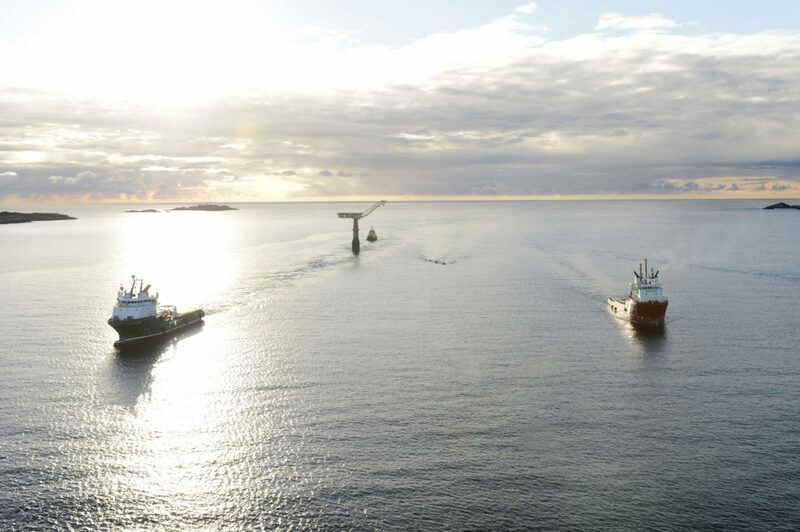 Statoil and the state’s direct financial interest (SDFI) rose from 65 to 73 per cent. As an international company on the Norwegian continental shelf (NCS), Shell had to be diplomatic in its language. But Shell was nevertheless far from satisfied. 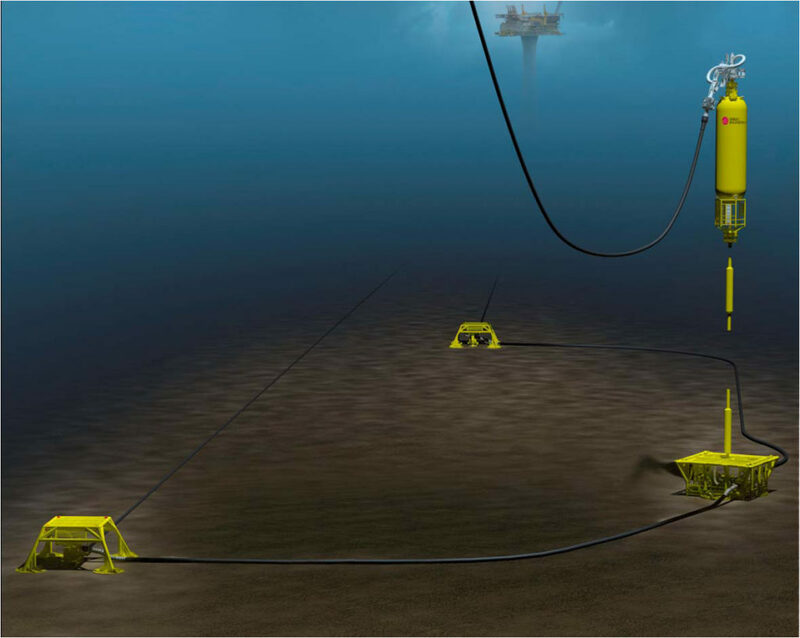 It had invested NOK 300-340 million to achieve the big output rise. Two-thirds of that went on drilling new production and injection wells. 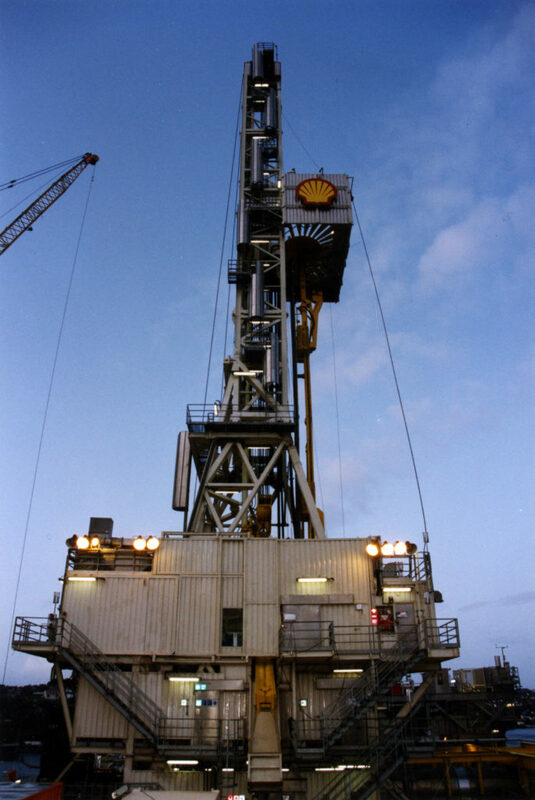 To prevent this spending and the production increase from cutting its return, Shell had to reduce its operating costs by about 20 per cent. Measures to achieve savings were already under way, so that spending was down to about NOK 600 million in 1995. A further cutback to NOK 500 million by 1996 would be pursued. So the operator was uninterested in any further increase in production from Draugen in the immediate future. This would require such substantial investment that it would be unprofitable. While Shell and Draugen had to struggle with the results of exercising the sliding scale, the government decided to drop this system for all future developments. That made application of the principle to Draugen particularly hard to swallow for Shell. 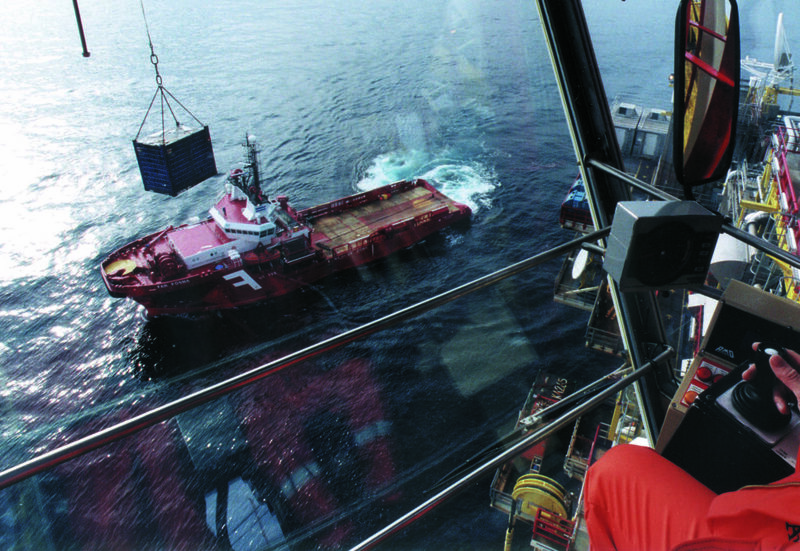 [REMOVE]Fotnote: Bergens Tidende, 29 June 1995, “Kraftig økning på Draugen”. A technique known as “gliding formwork” or “slipforming” was used to construct the vertical sections of the concrete gravity base structures (GBSs) built in Stavanger and elsewhere. This was a special form of a “climbing formwork”, where a form is constructed and then disassembled once casting has been completed. It can then be reinstalled to cast the next section. That approach is preferred when constructing vertical sections of limited height, such as in residential properties or foundations. 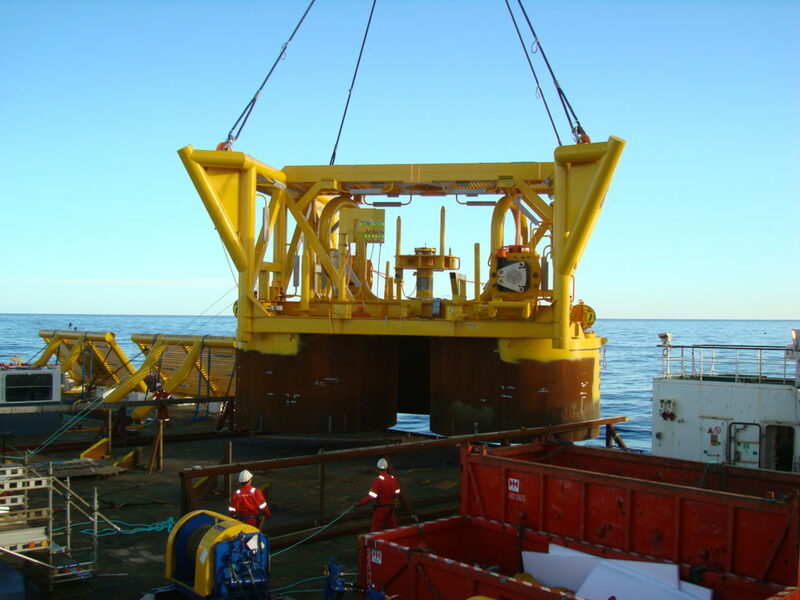 Such cases involve a limited number of disassembly/reassembly operations. The method is advantageous where many cutouts – such as windows – are involved. Slipforming was the best approach for the big concrete GBSs because it permitted continuous construction with few joints and cost-efficient working. Figure 2 shows how this is typically built up. The actual formwork comprises a vertical sheet installed to ensure that wall thickness and shape meet the design specifications. Gangways are installed on both sides of the wall around the whole circumference to provide a work space and access for such jobs as installing reinforcement bars (rebars) and cutouts. Other tasks here include pouring concrete into the forms, applying epoxy, inspecting the finished result and repairing possible surface blemishes. Formwork and gangways are attached to frames hung from hydraulic jacks, which move up as the structure rises. 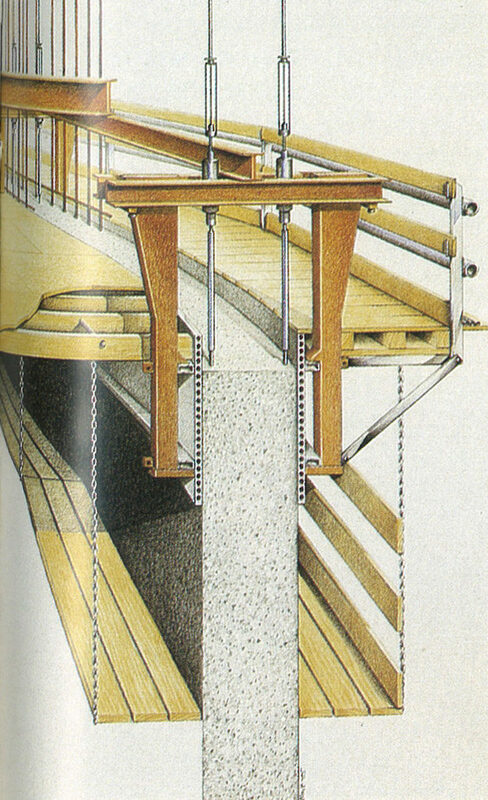 If the design requires changes in diameter, the formwork radius can be adjusted with a horizontal jacking system. As concrete is cast, the whole formwork get raised by activating the jacks simultaneously. Adjusted to the curing time of the concrete, the speed of the glide will vary with complexity and volume and is normally 1.5 to four metres per day. The jacks are constantly adjusted to adapt the formwork to the desired shape of the concrete wall and to correct possible variations without exceeding tolerances specified in the chosen building standard. Careful control of shaft geometry is exercised with the aid of laser measurements to ensure that all dimensions meet the tolerances throughout. The conical shaft in the Draugen GBS has its narrowest diameter at the sea surface, where it measures just over 15 metres compared with more than 22 metres down at the storage cells. 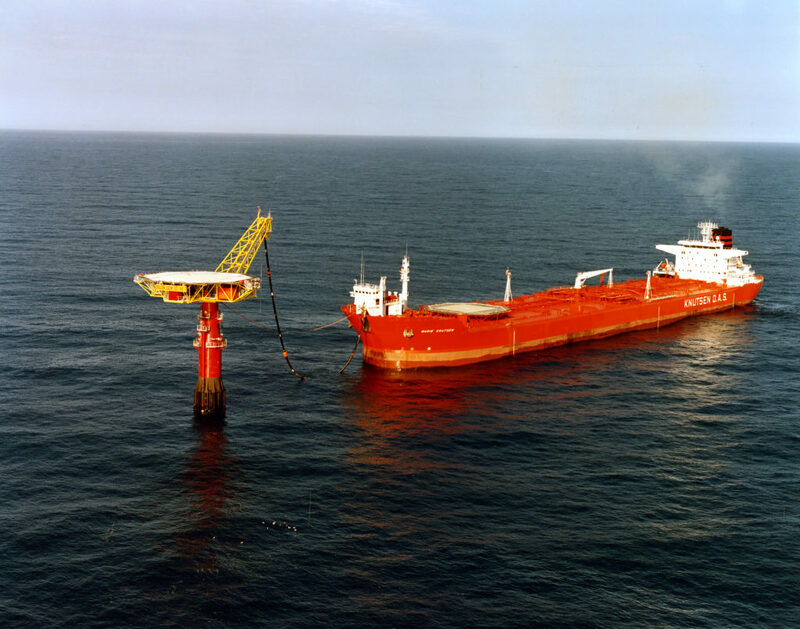 That reduces wave forces acting on the platform and thereby allows its base section to be reduced, as well as securing a more efficient design. However, a circular cross-section with a relatively small diameter was not the optimal solution for the transition to the square topside. The top of the shaft was accordingly designed as a box structure with a square cross-section measuring 22 metres to a side. Designing and operating a slipforming process where the cross-section gradually changed from circle to square therefore presented a challenge in construction terms. The solution involved a system which made it possible to add additional formwork sheets as the slipformed area increased, and creating a frame with arms which stuck out from the centre. A horizontal jacking system controlled the distance from the centre to the formwork, and this approach provided a successful outcome. The formwork could be raised so that the shaft wall became a double arc with its external dimensions tailored to a favourable solution for designing and attaching the topsides. One result of this building technique was that a checked pattern emerged on the transition piece, which gives the Draugen platform a characteristic appearance. Based on an e-mail from Dag N Jensen, former head of engineering design at Norwegian Contractors.